THE TIMELINE OF TRUTH BELOW! ~~ PLS SHARE!! Over 300,000 views! Read my Breitbart Interview that has over 38K shares and almost 8K comments. There can be no question, at this point, that certain higher ups in the FBI and the DOJ did not want Hillary to be indicted and did not want Donald Trump to become President. Those efforts were not independent of each other. Indeed, some of the same people were involved with both scandals. Below is a timeline of events that places all of the actions in context and makes it rather plain that the FBI and DOJ were not investigating potential crimes objectively. Indeed, they were committing crimes during the process in aid of their preferred outcomes. March 2, 2015 – The Hillary email scandal breaks. Hillary was using an unapproved/unsecured server and devices to communicate. She was using a private email account. Classified information was being sent through that email, server and devices – including when Hillary was abroad. All of that is illegal. As 2015 unfolds, it becomes clear to the FBI and the DOJ that President Barack Obama (despite his March 7, 2017 claim he found out about Hillary’s email server “through news reports”) was communicating with Hillary using her non-state department email. Obama was using an email and a name that masked who he was. That had to be known to authorities long before March of 2015 given that it occurred prior to 2013. As Andrew McCarthy points out in his article, there was no chance that the DOJ was going to indict Hillary because that would have required implicating President Obama. That was never going to happen. From thereafter, DOJ officials acted with that understanding, however illegal, in mind. March 7, 2015 – Virginia Governor and Clinton confidante Terry McAullife meets with Andrew McCabe and his wife Jill McCabe. Andrew McCabe as #3 in the FBI at the time. The month before, the Virginia Lt. Governor had recruited Jill McCabe to run for state Senate. March 12, 2015: Jill McCabe announces her run for State Senate. In time, according to the Wall Street Journal, Jill McCabe’s campaign received “slightly more than $675,000 to her candidacy from entities either directly under Mr. McAuliffe’s control or strongly influenced by him.” That represents more than 1/3 of her total donations. FBI warns Andrew McCabe about potential conflicts of interest given his senior position in the FBI while the FBI was undertaking an investigation of Hillary Clinton and McCabe’s wife receiving support from a Clinton friend McAuliffe. The memo, “Protocol Regarding Potential Conflicts of Interest,” also “identified several areas where [McCabe’s] disassociation would be appropriate.” It also referenced that his wife was being “supported by the governor of Virginia” and that McCabe had proactively approached Bureau colleagues for guidance. The FBI investigation into Clinton’s emails begins. Alexandra Chalupa, who had worked in the White House Office of Public Liaison during the Clinton administration, tells “a senior DNC official that, when it came to Trump’s campaign, “I felt there was a Russia connection.” Chalupa continues to do in 2016 and works with Ukranian officials to develop that narrative. April 2016. Hillary campaign and DNC begin funding infamous Trump dossier. To conceal payments for the dossier, Hillary’s campaign and the DNC give money to attorneys who then pay for the dossier – a clear campaign law violation. If that campaign payment had been properly disclosed, the payment for the dossier, and likely the dossier, would have been exposed in the summer of 2016. That disclosure likely would have hurt Hillary’s campaign (exposes her dirty trick play) and LIKELY PREVENT THE USE OF THE DOSSIER to get FISA warrant on Carter Page, which led to other spying and ultimately the Mueller investigation. “Late Spring” – FBI’s then-director James Comey briefed the principals of the National Security Council on “the Page information.” Just prior to that, candidate Trump disclosed Carter Page as an advisor. Carter Page is a tangential, volunteer Trump campaign advisor with long-time ties to Russia. Carter Page clearly is a Russian sympathizer with a desire to continue doing business in Russia. It is important to note that Carter Page had been under surveillance in 2013 (not clear for how long) by the FBI. Such surveillance must be based on a claim that Carter could be an agent for a foreign government. May 6 – An “intermediary” is contacted by a Obama Administration official and told the government has Hillary Clinton related emails that they wanted to get those emails to the Trump campaign. a) The intermediary begins discussions with then Trump campaign aide Michael Caputo about such a process. A week later, Caputo turns down the offer worried they contained classified information. Caputo tells the gov’t representative to use the gov’t whistleblower process. Cavuto gave this information to Mueller team but they ignored it and never followed up with the intermediary nor the gov’t official. Cavuto also had the same man meet with Roger Stone. The man referred to himself as Henry Greenberg. b) Obama Endorses Hillary Clinton. The question arises: Why Obama would take the risk of endorsing Clinton who is in the midst of “honest” criminal investigation. It is actually rare for a sitting President to be aggressive on the campaign trail for his replacement. Wouldn’t that be really embarrassing for the President if she had been charged with a crime? Eventually, five Clinton associates, including Mills, are granted immunity and, incredibly, evidence is destroyed by the FBI as part of the immunity deals. There is never a good reason for a law enforcement agency to destroy evidence during an investigation. Also, keep in mind that the FBI was denied access to DNC servers when investigating whether and how the DNC was hacked by Russians – a 3rd party made the review. Why would the FBI allow the DNC to deny access? During the final months of the Clinton email investigation, FBI agent Peter Strzok was advised of an irregularity in the metadata of Hillary Clinton’s server that suggested a possible breach. Of course, the law is not based on intent. Once the FBI determines a possible breach of a figure like the Secretary of State, a damage assessment is required. However, Peter Strzok “did not support a formal damage assessment” and no assessment was done according to sources. That, of course, implies that the Director of Intelligence under Obama, James Clapper, refused to do his job to ensure that that assessment was done. Oh, and who interviewed her? Peter Strzok. July 2016 – Carter Page goes to Moscow. The Trump campaign is aware of his Russian trip but not that he had been under surveillance. *A simple Google Search today demonstrates numerous stories of Brennan’s many anti-Trump statements and animus. Late July 2016. US government starts a “counter intelligence” operation, code-named “Crossfire Hurricane, based on statement by George Papdopoulos after a lot of drinking that Russia has dirt on Hillary Clinton. (b) that the information related to Papadopoulos was provided to American intelligence sources by Former Australian Foreign Minister Alexander Downer. According to documents, Downer “arranged one of the largest foreign donations” to the Clinton Foundation. * Of course, the real irony/joke is that the FBI starts surveilling people related to Trump, which ends up with false claims/dirt against Trump, because the Russians had dirt on Hillary. when he said he doesn’t talk about “investigations” ?? Christopher Steele meets the FBI in Italy during the summer of 2016. Brennan briefs Obama “on Russian interference. He explained that Putin’s explicit purpose is to aid Trump.” For the remainder of the election cycle, Brennan pushed “intelligence” to the likes of Democrat Senate Leader Harry Reid and Comey about alleged ties between Russians and Trump campaign personnel. See August 27 below. August 8, 2016. A Peter Strzok text to Lisa Page discusses a meeting and/or briefing of then President Barack Obama’s Chief of Staff Denis McDonough and “D,” who is James Comey. August 27, 2016. Harry Reid sends a letter to James Comey “requesting an investigation into potential collusion between the Trump campaign and Russia.” That request is made AFTER John Brennan met with Harry Reid and purportedly show him the dossier. August 29, 2016. NY Times reports existence of Reid Letter. August 30, 2016. Peter Strzok texts Lisa Page: “Here we go,” sending a link to the Times report titled, “Harry Reid Cites Evidence of Russian Tampering in U.S. Vote and seeks FBI inquiry.” That text appears to confirm that the political arm of the U.S. government was working in concert with the FBI and/or the DOJ. September 2, 2016 – Stefan Halper, a Cambridge professor with longstanding CIA and MI6 ties, [who earlier made contact with Carter Page in July makes] contact with Papadopoulos on Sept. 2, 2016. They met in London later that month. Papadopoulos states that Halper brought up the stolen Hillary emails. Carter Page leaves Trump campaign. Press stories allege contacts between Page and Russian officials resulting in pressure for Page to leave the campaign – so he leaves. Peter Strzok/Lisa Page Text States that President Obama wants to “know everything” the FBI was “doing.” Again, is that because it was an “intelligence operation” not a “criminal investigation” ?? 9.28.16. McCabe notifies Strzok of additional Hillary emails needing to be reviewed. October 21, 2016. Second Comey FISA request relying on the Steele Dossier – FISA Warrant Issued to spy on Carter Page. Andrew McCabe, in time, makes it clear that without the dossier, there would have been no FISA warrant. The dossier made up the “bulk” of the application according to U.S. Senate report. a) FBI/DOJ seek FISA Warrant on Carter Page without first seeking to interview him as required by law. The FISA law states that the warrant can be issued if the needed information “cannot reasonably be obtained by normal investigative techniques.” Interviewing Page would have been a normal investigative technique. Yet the DOJ/FBI never attempted to interview Page prior to seeking the warrant. “Under the subsection “FISA Verification of Accuracy Procedures,” the FBI itself acknowledges that: “The accuracy of information contained within FISA applications is of utmost importance . . . Only documented and verified information may be used to support FBI applications [FISA] to the court [FISC]. October 28, 2016. Comey announces the reopening of Hillary email Investigation after the “FBI’s discovery of a large quantity of emails during the search of a laptop computer obtained in an unrelated investigation of Anthony Weiner, the husband of Clinton’s former Deputy Chief of Staff and personal assistant, Huma Abedin.” Source IG Report, p.2. According to Comey, he made to decision to go public because he “was making decisions in an environment where Hillary Clinton was sure to be the next president, my concern about making her an illegitimate president by concealing the restarted investigation bore greater weight than it would have if the election appeared closer or if Donald Trump were ahead in all polls.” In other words, he was making FBI/police decisions based on polls. October 30, 2016. The FBI obtained a search warrant to review the emails. Source IG Report, p.2. *What should you conclude form he above? Obviously, Comey and the FBI cleared Hillary WITHOUT reviewing all the emails. November 9, 2016. Trump wins the Presidency. December of 2016. CIA Director Brennan finally gets FBI Director Comey to agree Putin had intervened on behalf of Trump. 1. Obviously, the Obama Administration DOJ officials were never going to charge Hillary Clinton with a crime related to the emails. To make that come true, their officials went easy on Hillary (as the Strzok/Page texts expressly suggest should be done). They altered procedure, they granted multiple immunity deals, they allowed for the destruction of evidence, they gave her an easy interview, they delayed the review of documents and/or failed to review them at all, they altered the characterization of Hillary’s offense from “grossly negligent” to “extremely careless” to exonerate her from liability, they ignored the breach of her server and more. Their conduct amounts to obstruction of justice – a crime. 3. Do Comey’s original draft and his announcements related to Hillary not demonstrate he was not biased against her? Maybe. The fact that Comey made inconsistent and stupid decisions does not mean the FBI and the DOJ weren’t giving Hillary a free pass. Also, there is no doubt, that Comey stole documents from the FBI and illegally leaked such documents. Those are crimes. Beyond that . . .
4. It is obvious that the FBI/DOJ officials hastened the end of the Hillary email investigation and then immediately began an investigation of Donald Trump in earnest. The timing of the winding down of the Hillary investigation and “spying” on the Trump campaign, along with the July 5, 2016 Comey exoneration speech and the late July counter intelligence investigation related to a tangential Trump advisor should not be viewed as just a coincidence. It was, as Strzok said, an “insurance policy” against the election of Trump. 1. At one time John Solomon of The Hill reported: Of the known public information, there are only 4 sources the FBI used to start the investigation of the Trump campaign. All four of those sources have ties to the Clinton: Ambassador Downer, Fusion GPS/Christopher Steele, the Yahoo News story and written by Michael Isikoff who got his information Christopher Steele, and Sidney Blumenthal/Cody Shearer funneling information to the State Department. Now, however, it could be that the Obama Administration acted in concert with Clinton Allies by seeking to plant false information on Trump aides. 2. The Brennan Push – from July of 2016 until December of 2016, despite push back from the FBI, CIA John Brennan (a fierce critic of Trump) pushed the narrative that Putin was interfering on behalf of Trump. His efforts bore fruit and likely resulted in the existence of the Mueller Investigation. 3. FBI/DOJ officials knowingly concealed evidence and misled the FISA Court. They, including Comey, knew the law. They are senior law enforcement officials. They knew they had been turned down before and therefore had to bring more to the table. Former FBI Director Jim Comey, multiple times, said the information in the dossier was not verified yet it was used to obtain a FISA warrant. Pretty clear case of abuse/law breaking – is it not? 4. Based on those lies in the FISA applications, all the evidence that was gathered as the fruit of that warrant, unless it can be shown the evidence was clearly not gathered from that warrant, could be ruled inadmissible in any criminal case. Look for Paul Manafort to make that argument. 5. Without the FISA warrant, would there have been an Independent Counsel? We shall never know – but it appears rather unlikely. 1. Mueller. He had to know of the facts above. Why hasn’t he blown the whistle on the bad cops? 2. It is right to say that this episode is the worst abuse of political power in American history related to elections. Watergate is nothing by comparison. That involved people not employed by the government. Later it involved a cover-up in which Nixon and other WH staff participated. Watergate did not involve the abusive use of DOJ and the FBI powers – two institutions which must be non-partisans for this Republic of ours. Purchase The Divided Era today – Buy Now. Overall, the memo is longer than the Republican memo. That is due, in part, to the extensive amount of repetition in the Democrat memo and the fact that it contains a lot of argument for their position. A. What is inside . . . It confirms that the FBI started a counter-intelligence program (in July of 2016) because George Papadopolous said the Russians had emails of Hillary Clinton – presumably those emails were more than her yoga and wedding appointments. That fact that Russia many have had emails about Hillary was known to the FBI prior to the 24 year-old Papadopoulos saying so on a night of excessive drinking. The FBI did not need to start a counter-intelligence program on Trump officials based on that common knowledge. It confirms that the FISA Court was told the dossier was politically motivated. HOWEVER, the Democrat memo leaves out (as did the FISA application) that it was the opposition Hillary Clinton campaign that paid for the dossier. As an attorney of 30 years, I can’t imagine a Judge wouldn’t have wanted to know that fact. It confirms (at length) that the FISA application was based on the FBI’s belief in Steele – not verified facts. Should an entire FBI investigation on an opposition candidate be based on the allegations of a paid spy? In retrospect, clearly not given that none of the material allegations have been true. At the time it was granted, however, it remains true that the candidate preferred by certain FBI/DOJ officials was able to start an investigation against the non-preferred candidate on the thinnest of reeds. THAT IS WHAT THEY DO IN RUSSIA. Putin makes false charges and eventually jails opposition leaders after a sham “investigation” if not before. The notion that that should not happen here should not even have to to be said – but apparently it does. It confirms that the only corroboration of the dossier is the Yahoo story which Steele planted – while claiming the FISA application ALSO made use of a news story that Carter Page made a public denial of certain meetings in Russia. Yes, as I discuss below, Carter Page was a Russia-file. He wanted to be big there. But he was not unknown to the FBI (as the Democrat memo admits at length) and therefore there was no need to spy on him (to confirm the Russian contacts the FBI knew he had) given he had already left the Trump campaign (as the Democrat memo admits). B. What the Democrats main argument in the memo? The memo is clearly trying to argue the facts – it does not provide significant new facts or to refute existing facts. Indeed, it confirm certain critical facts, i.e. that the counter intelligence operation and FISA warrants were based on almost no evidence. Again, it does not refute any of the material, underlying facts of Republican memo. The main argument for the Democrats is to claim that the Republican memo takes individual events out of context. That latter point is why I did the complete timeline below – so you see everything in context. Here is a link to the Democrat memo. Remember when Hillary deleted over 33,000 emails claiming there weren’t work related even though they were subject to subpoena and a State Department request to hand them over? Remember when she wiped her computer server clean? Suddenly deleting emails can be illegal however. “Robert Mueller has charged a lawyer with lying to investigators about his communications with Rick Gates, a partner of former Trump campaign manager Paul Manafort who also has been charged in the Russia probe.” Of course, the Manafort indictment has nothing to do with the election meddling – the investigation Mueller is supposed to be performing. The indictment of Manafort’s partner does not either. But there is something interesting within the indictment. “The indictment against Alex Van der Zwaan also accuses him of deleting or otherwise not producing emails sought by the Special Counsel’s office . . .” (Original Text of ABC story that has since changed the text of its story) (CNN: Gates also deleted and then failed to produce emails he exchanged with the unnamed person in September, the charging document says). Imagine that. Do you think Hillary should be worried? Why did Forbes delete this from their site? Why did Forbes delete this from their site? GOOD QUESTION FORBES? Yes, I have emailed Forbes to complain. Here are the archived pages…. Very Powerfull Article! Seeing everything in a timeline format was incredibly revealing & illuminating. I like your style of presentation. 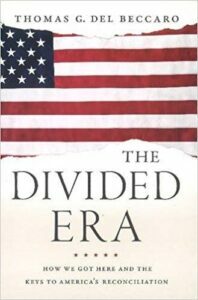 I am ordering your Book “The Divided Era” on Amazon immediately! Thanks so much! Please share the timeline and remember we update daily! Thanks so much!! Pls share this with your friends! Please advise me, why did Forbes take down this article? Bravo..this was a brilliant timeline…Patriot conservatives are watching and fighting back as never before…We have been sorely dismissed as dimwits…their BIG mistake. I wish to follow you and share all that I can. Good Luck and God Bless you?? Is this site going to preserve this? If you check for the article across multiple sites, all of the links to it are broken I shared this again, just now. To my FB comments of yesterday. The article itself didn’t post, but the link did. And that was broken as well. So something is seriously wrong. We are preserving it! Pls share it! Pretty good timeline, but perhaps you could add some details, such as the exact date, if you have it, and not just the month/year, and adding some actual quoted messages, not summaries of what was said, i.e., when Strzok/Page talked about “brushing up on Watergate” because he had just bought a copy of “All The President’s Men.” I posted your article on my FB page and shared with other people. Any interest in inserting Judge Scalia’s death into the timeline (February 13, 2016)? Newly discovered messages strongly suggest a cover-up here as well. Well, when you put it that way … it all looks pretty damning. Well written & well researched. You need to add to this timeline the two Obama executive orders that widened the distribution of NSA data. The first was Feb 2016 when it started to look like Trump would win the nomination and the second was after he won. This is extremely helpful in deciphering the chain of events, and you can bet I’ll be sharing it. Very interesting article and you can bet I’ll share it. Remember, back in April 2016 when Obama looked into the camera and said “I do not talk to the Attorney General about pending investigations”? Well, now you know what he was really saying: there was no real investigation of Hillary. Missing from your timeline is the Congress’ convenient renewal of FISA in January, just before it was revealed how FBI and DOJ conspired to manipulate the FISA court to get permission to spy. A coincidence? I don’t think so. This is the EXACT reason secret courts are an abomination to our Constitutional Republic. Great report, Tom. Easy to follow. Thx for your substantial efforts here. Very credible. Need to get this reposted on Drudge, etc. Don’t let the lefties snuff it. 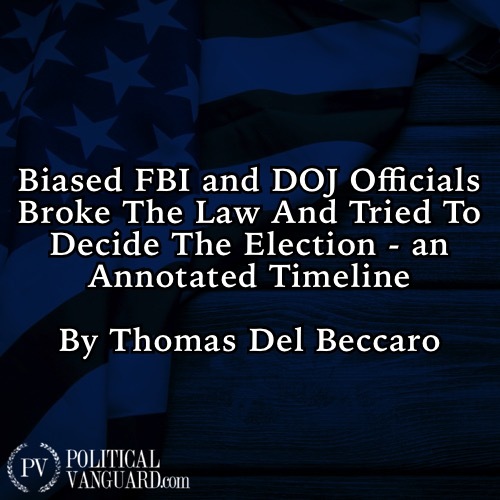 Pingback: Tom Del Beccaro: All Corrupt DOJ and FBI Roads Lead to Obama | ACGR's "News with Attitude"
Excellent article! Your timeline makes all of this so much easier to comprehend and understand. I’m going to share this to my FB page and ask all my friends to share as well. Hopefully, we can make this go viral before it’s even snuffed out on FB! You forgot to include the allegation that the NYPD stalled on informing the FBI of the emails on Weiner’s computer, causing Comey to re-open the inquiry. You know, the “October Surprise”! A question; How would Putin, interfere? Did he have access to a voting booth? That’s about as possible as winning the Lottery! This is following the Democratic “blame game”, When you make a mistake; find someone else to blame! I knew most of this, but the way you put it in writing was fantastic. I will be ordering your book. I have shared and emailed to my friends who do not DO Facebook. When will all of these *upper criminals* be indicted?